The 2018 RAM 1500 isn’t interested in being beat, so it starts drivers off with a standard 3.6L Pentastar® V6 engine that puts out 305 horsepower – which is unsurpassed among light duty pickups. It also generates 269 lb.-ft. of torque, but if you have heavy-duty work to be done, try out the 1500’s available 5.7L HEMI® V8. The renowned engine kicks out 395 horsepower and 410 lb.-ft. of torque. The new RAM 1500 also offers the best of both worlds in its available 3.0L EcoDiesel V6. The versatile engine achieves a best-in-class EPA-estimated 29 highway MPG while producing a serious 420 lb.-ft. of torque. Demand performance out of your truck. Visit Bob Moore Chrysler Dodge Jeep RAM of Oklahoma City and drive the 2018 RAM 1500 today. When you drive a pickup truck, you expect it to deliver results, and the new RAM 1500 was built to surpass expectations. When properly equipped, the 1500 can tow a maximum of 10,620 pounds and haul 1880 pounds of maximum payload. It also offers Trailer Sway Control, Hill Start Assist and a standard Class IV integrated trailer hitch to make even the toughest jobs look easy. The 2018 RAM 1500 continues to set itself apart with class-exclusive capability features, such as its 8-speed TorqueFlite® 8 automatic transmission and available Active-Level™ 4-Corner Air Suspension. Add its class-exclusive RamBox® Cargo Management System and you’ll have a truck that the Ford F-150 can’t stand up to. Don’t settle for the second best. Drive a truck that’s in a class of its own. Experience the new RAM 1500 at Bob Moore Chrysler Dodge Jeep RAM of Oklahoma City today. For the working man who doesn’t have time for an office, the 2018 RAM 1500 has you covered. With its available Uconnect® 4C NAV with an 8.4-inch touchscreen, 4G LTE WiFi hotspot, Apple CarPlay™ and Android Auto™, you’ll be able to stay connected at all times. You can also monitor your 1500’s vitals with its customizable Driver Information Digital Cluster with 7-inch color display. Keep the information you need right in front of you at all times. The new RAM 1500 is built for today’s workforce. Test-drive a 2018 RAM 1500 in Oklahoma City at Bob Moore Chrysler Dodge Jeep RAM today. 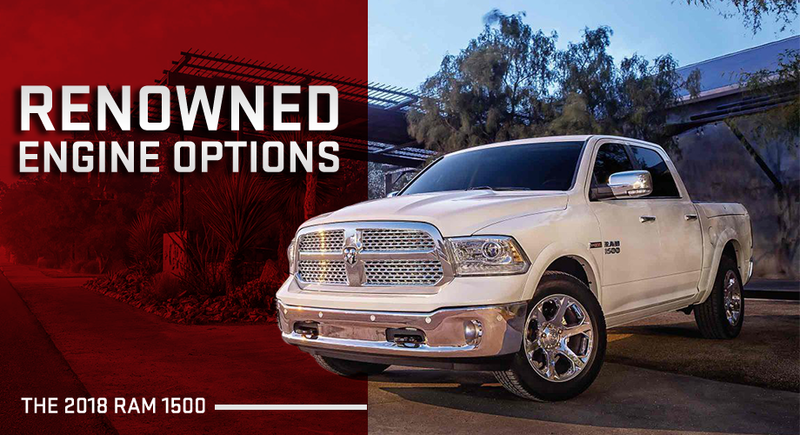 RAM knows there’s no such thing as a one-size-fits-all truck, so it gave drivers a multitude of options in the new RAM 1500. With 11 trim levels to choose from, you’re sure to find a model that catches your eye and fits your workload. For sleek look and exceptional performance, test-drive the Night edition. For maximum power and capability, go with the rugged Limited trim. If you’re looking for a truck in Oklahoma City, OK, Edmond, OK or Yukon, OK, drive one that will always get the job done. Visit Bob Moore Chrysler Dodge Jeep RAM in Oklahoma City and get into a 2018 RAM 1500 today.